Freddy Beans ponders THE GUILTY! Freddy Beans here with a review of a taut little thriller out of Denmark titled THE GUILTY. THE GUILTY is such an expertly crafted film. Every moment drips with tension, yet it’s all implied. This movie is an investigative thriller, stuck back at the dispatch center and it serves it well. Gustav Moller and Emil Nygaard Albertsen have co-written a clever claustrophobic screenplay, that never lets up. The entire film takes place in a total of two rooms and involves a police officer taken off the street to handle dispatch, begrudgingly. 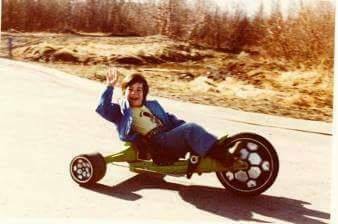 Asger Holm (Jakob Cedergren) is the gas that makes this motor run. There are literally no other actors we see. OK, there’s a couple in dispatch with him that interact but largely it’s all him, for the entire film. Without his facial expressions and willingness to handle a vast span of emotional territory, this project fails in execution. The film hinges on him and rightfully so, he’s a tour de force. As the mystery before us unwinds, we’re not led and shown what to believe. We’re given long uncomfortable pauses, stressful situations with no easy answers, and a surprise at the end that turns everything we thought we know on its head. From the moment Asger gets a call from Iben (Jessica Dinnage’s voice), this starts to feel like an old sweater, comfortable in that Hitchcock-ian air it traverses in. One where you lose yourself in the story and quit trying to figure it out because the story lets your mind create as it goes. And there are no easy answers given. Asger was recently demoted from the force for a reason. One he shares at an opportune moment. Protecting another life, like a police officer swears to. His guilt eats at him and makes him much more relatable. It also helps sell his need to see this mystery to its end. At first, he’s simply a recently demoted police officer, turned pissy phone operator, pending a formal investigation and by the end, he’s still that. Yet, he’s been redeemed in a beautiful manner. One that reveals the cracks we all hide in, out in the open air among our peers. 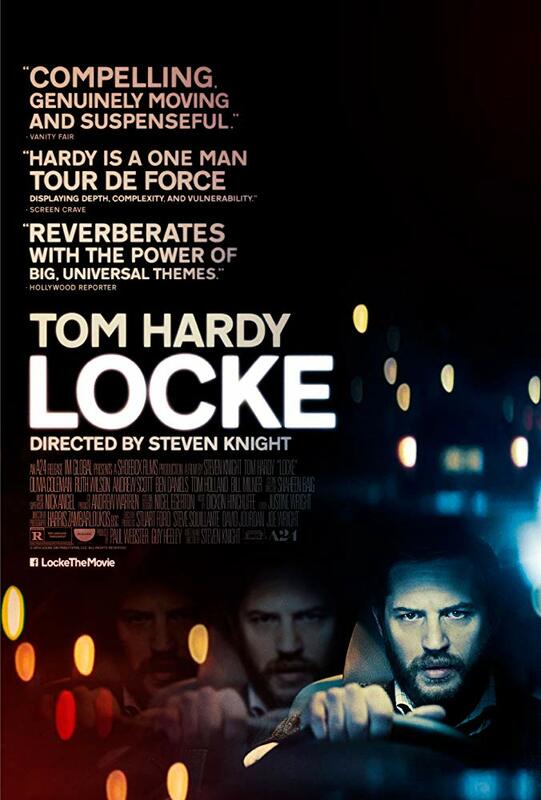 Gustav Moller also directed this absolute masterpiece, in budget movie making The entire film centers on one protagonist in very similar fashion to Steven Knight’s LOCKE or a lesser version Joel Schumacher’s PHONE BOOTH. In a day and age where everything is digital and every story is shown instead of told, it’s wonderful to find a movie confident enough to believe in its audience. To allow them to find the dark corners in their minds without showing them anything. There is no CGI, gore, or special effects to be found here, it’s all storytelling and acting. I can’t rave about Jakob Cedergren’s performance here enough. He’s a one-man show and I can’t wait to see what he’s in next. Gustav Moller gets the most out of his actor and creates a taut mystery that thrills its audience from start to finish. 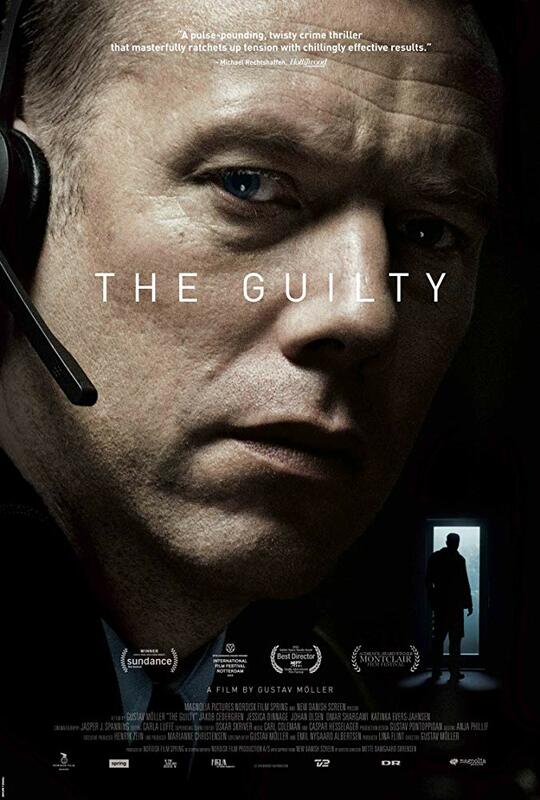 THE GUILTY from Magnolia Pictures is currently playing in select theaters. Check it out if you can! 8 out of 10 police officers agree with Public Enemy, calling 911 is a joke.